This page provides a few good examples of why choosing removal over extermination is the better option. 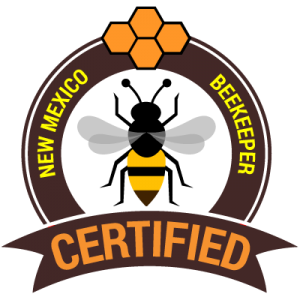 Yes, removals are more invasive, but the process we provide will take care of your bee problem the first time. Extermination only kills the bees. As can be seen in these pictures, there is much more going on inside your structure than just bees. Once they are in your structure they begin to build comb. Inside this comb, they will lay they brood (young bees) which can number up to 2,000 per day in the Spring. They also begin to deposit honey for them to survive off of through the Winter. Bees cluster in their hive in the winter and survive off of their honey deposits. If exterminated, none of this material is removed, and without the bees inside the hive for temperature control, the honey and wax will melt in the summer heat. When this material melts it will begin to drop and seep through cracks in the wall, or all the way down to the floor of a wall. This honey that is left will attract other insects and rodents like cockroaches, yellow jackets, mice and ants. So, in eliminating one pest you could be inviting many others. Plus, with the material left behind, bees will likely inhabit the same location as the hive material within a year or two. Our removal process is guaranteed to not only remove the material that will attract these other insects and rodents, but we also provide a Bee Free Guarantee that no other bees will re-infest the location the bees were removed from for one year. Our process is more invasive than extermination, but it is a permanent fix. Many of our clients have told us stories of trying extermination in the past, and the fact that they are calling us is proof that it hasn’t worked. Some of these clients have honey damage to drywall or coming out of their soffits, that will cost them much more to repair than our service will cost them (not counting how much they paid for extermination). Our removals are similarly priced to exterminations, and they are much more effective! Plus, we all know the dilemma bee colonies are facing, and we do our best to relocate and save all the bees that are removed.